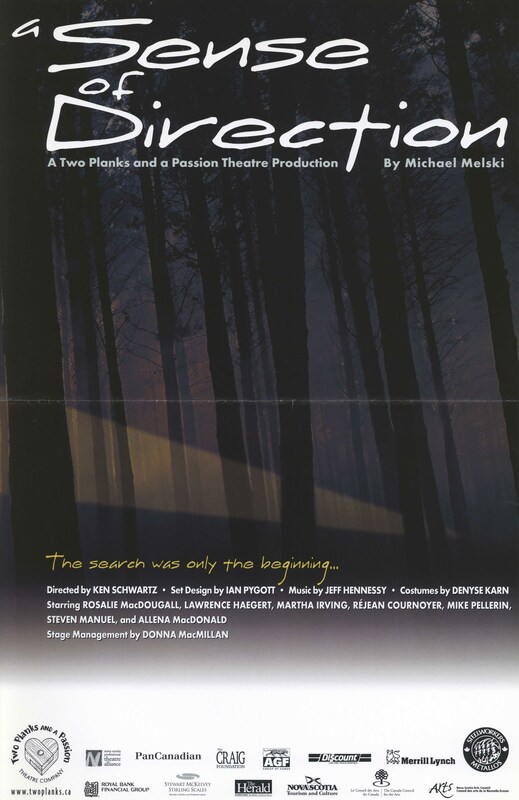 Two Planks and a Passion Theatre Company was founded in 1992 by Chris O'Neill and Ken Schwartz, with a mandate to produce new Canadian works with strong female roles and community relevance. The company's original home was a small community hall in Sheffield Mills, Nova Scotia, and, as such, Two Planks became an itinerant company, bringing theatre to rural communities throughout Canada with regular regional and national tours. In 2003 O'Neill and Schwartz began construction of a multi-disciplinary arts centre, and Two Planks and a Passion found a fixed address on a former cattle farm on 178 acres of field and forest overlooking the Bay of Fundy. In addition to providing an outdoor summer theatre venue, Ross Creek Centre for the Arts offers programming and space for arts-focused residential summer camps, workshops for youth and families, and retreats for emerging and established artists. Two Planks' first production was a one-woman show, See Bob run, by Daniel MacIvor (1992); two years later the company received national recognition with its groundbreaking production of Butterbox babies, adapted by Chris O'Neill from the novel by Bette L. Cahill (1994). 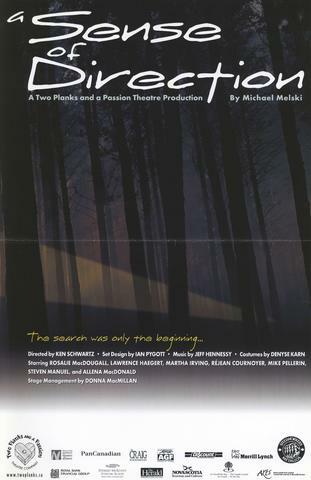 During its years of touring, the company produced many plays with Atlantic Canadian themes and/or playrights, including Westray: The long way home, by Chris O'Neill and Ken Schwartz (1995; 1996; 2002), which had an extensive national tour sponsored in part by the United Steelworkers of America. Other plays included Halo, by Josh MacDonald (1999), and Hockey mom, hockey dad, by Michael Melski (1999; 2001-2002). Once in its permanent home, Two Plank's productions were able to feature larger casts and the "theatre off the grid"series were rooted in their natural surroundings. Productions such as The Odyssey, adapted by Rick Chafe (2007), Our town, by Thornton Wilder (2008), Rockbound, by Allen Cole (2009), The crucible, by Arthur Miller (2011), and Beowulf, adapted by Rick Chafe (2012), all received awards and/or nominations for Robert Merritt Awards.